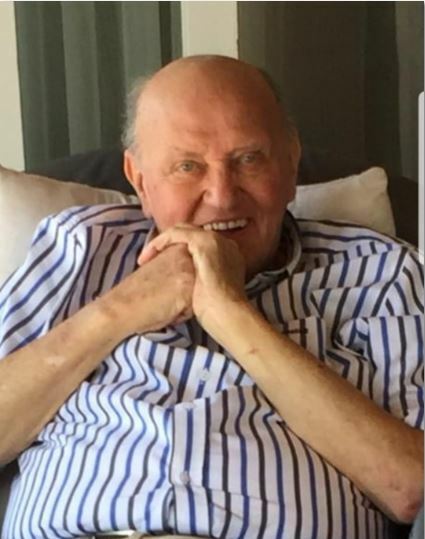 The death occurred, peacefully, in his 99th year, at the Regional Hospital, Mullingar, on Thursday, November 8 of Barney Halligan, Drumloher, Ardagh, Longford. Predeceased by his wife Mary Elizabeth (Trautt). Sadly missed by his loving son Jimmy, daughters Bernie Halligan-Fisher, Mairead McDonnell and Majella McQuaide, daughter-in-law Anne, sons-in-law John and Tom, grandchildren, relatives, neighbours and many friends. Rest in Peace. Reposing at his home in Drumloher on Saturday November 10 until 4pm. Removal on Saturday evening November 10 to St Brigid's Church, Ardagh, arriving at 6pm. Funeral Mass on Sunday, November 11 at 11am. Burial afterwards in the adjoining cemetery. Family flowers only please. Donations if desired to Longford Hospice Homecare care of Paschal Lyons, Funeral Director, Ardagh.